When a parent / guardian is not present for pick-up and contact cannot be made, the child will be brought back to the Camp at the end of the route and must be picked up at Camp Rockwell. If you arrive late to your bus stop and the bus has departed please do not try and stop the bus mid route, you may proceed to the next stop and collect your child there, this is in the interests of safety for all involved, our staff and drivers will not stop mid route. 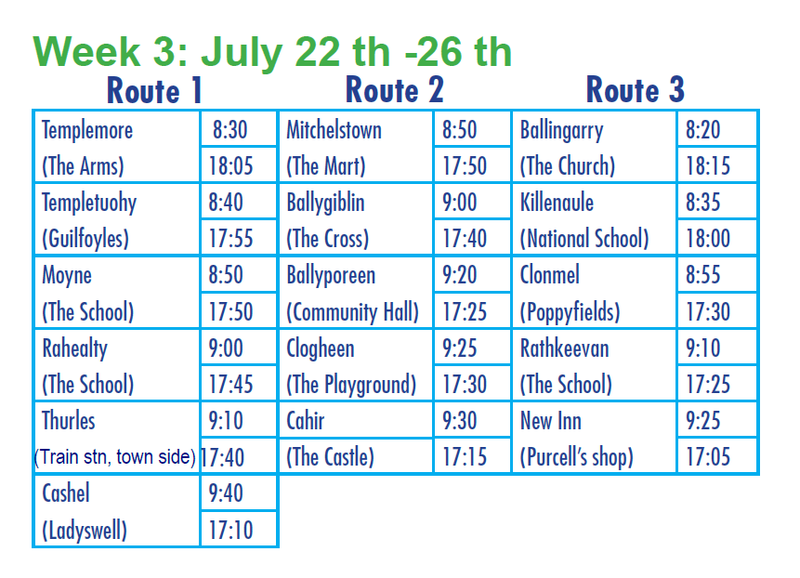 Campers availing of the transport service will be charged an additional €20 per child for the week. 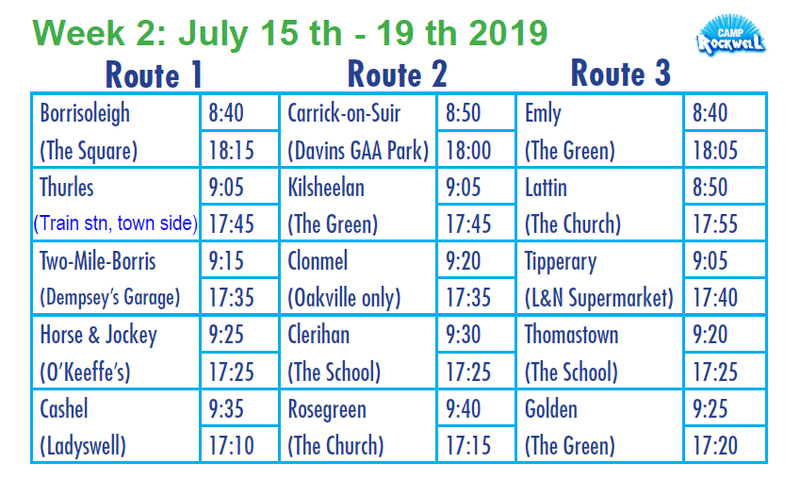 Please note, bus times may change if there is a direct bus on your route. You will be informed on the first morning. 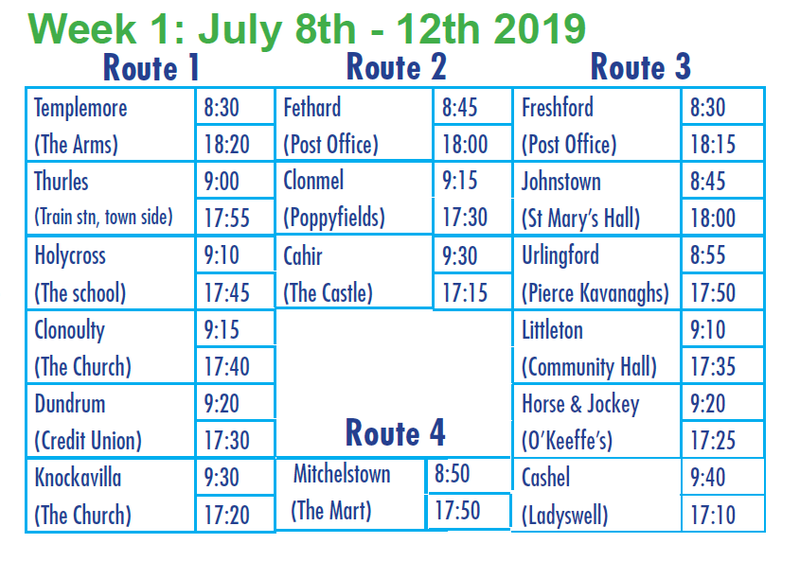 Campers who do not avail of our transport service should arrive at the Camp at 9:30am sharp and be collected no later than 5pm. You must sign your child in & out each day. Please contact us if your child is going to be absent for any period during the week they have booked.